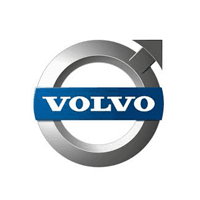 U.S. – Aug. 30, 2018 – According to US Recall News, Volvo Car USA LLC (Volvo) has announced a recall for some of its vehicles that have potential faulty seat backs. In the event of a crash or accident, these seat backs could move rapidly and unexpectedly, posing a risk for injury to passengers inside the car. This recall is in line with several others this year by Volvo over interior faulty components, including oil pressure indicators, headlights and starter motor fuses. In the back rear seats of certain Volvos, there might be a missing key component that secured the back of the seat in place. The rear seat back lock strikers are part of the seat back that moves backward and forward for adjusting. In the event of sudden movement, such as hard braking, stopping rapidly or a crash, this lock striker could come loose and not have the seat secured properly. This put the passenger at risk of injury in crash circumstances. The vehicle model involved in this particular recall is the 2019 Volvo XC40. This is a compact SUV in the Volvo line that comes in three styles: the Momentum, the Inscription and the R-Design. According to Volvo’s website, there will be a full electric version of the XC40 manufactured in 2020. About 25 vehicles are being recalled for this specific faulty part in the rear seats. So far, there has been no reports of injury or accidents due to the problem with the rear seat backs and lock strikers. According to Fortune, one of Volvo’s biggest recalls in recent history involved 74,000 vehicles in 2016. It posed a potentially dangerous situation, as there was issues with the seat belt mechanisms found in 2016 and 2017 Volvo S60, S90, V60, VC60 and XC90 models. The lock was not working correctly, putting drivers and passengers at risk for not being secure in the moving vehicle. Volvo offered full inspections of the seat belts and notified all owners by mail, and did further checks at dealerships to unsold cars. No injuries or accidents were reported relating to the specific recall. This year has seen several other recalls for Volvos, according to Edmunds. More than 7,700 models from 2014 have been recalled due to potential signaling and headlight malfunctions, as well as another 7,800 from 2016 that could have issues with the starter motor fuse. Certain Volvo S60s, about 30,000 total, are also being recalled over a problem with the indicator that alerts drivers of low oil pressure. Earlier this month, Volvo made the recall announcement for certain XC40 models. They are offering repairs to the faulty seat components and vehicle interior checks for owners. If the seat back lock striker is missing from the vehicle, Volvo will replace it free of charge during the inspection. Officially, the recall will begin on October 15, 2018. Owners and drivers will be notified of the issue so they can take measurements to rectify the recall. If drivers, owners and dealerships are concerned about the recent Volvo recall, they can find more information from National Highway Traffic Safety Administration (NHTSA) via their website, or call their hotline at 1-800-424-9153. To contact Volvo directly in the U.S., those looking for more information can call 1-800-550-5658. Volvo’s number for this recall is R89898.